Ukraine has risen in the Doing Business 2014 ranking of the World Bank, which ranks economies on their overall 'ease of doing business', advancing 16 points compared to last year and placing 96th out of 189 countries. The improvement of the country’s rating was attributed to introduction of electronic tax declarations, including declarations of the single social contribution, a World Bank press release reads. 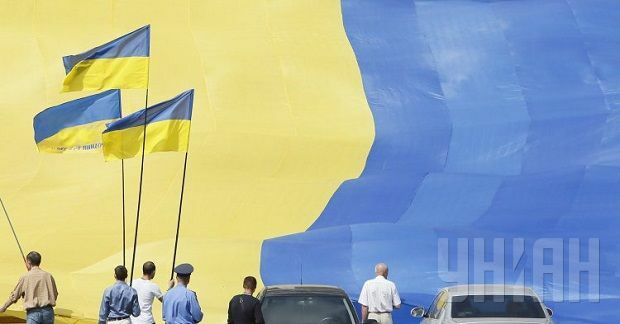 Last year Ukraine was 112th in the ranking, with its year-on-year improvement being 25 points at that time. The bank’s experts noted that Ukraine had a great potential, pointing to advantageous factors such as its possession of one third of the world's total supply of fertile black earth, its favourable geographical position, its significant domestic market, and well-functioning infrastructure and industrial base. In March this year, the government, under the leadership of current Prime Minister Arseniy Yatseniuk, announced plans to break into the top 100 in the World Bank’s Doing Business ranking by implementing economic reforms and simplifying regulatory procedures. The Doing Business ranking provides objective measures of business regulations and their enforcement across 185 economies, according to the World Bank’s Web site. Each economy is ranked according to 10 sets of indicators. These are combined into an overall "ease of doing business" ranking.